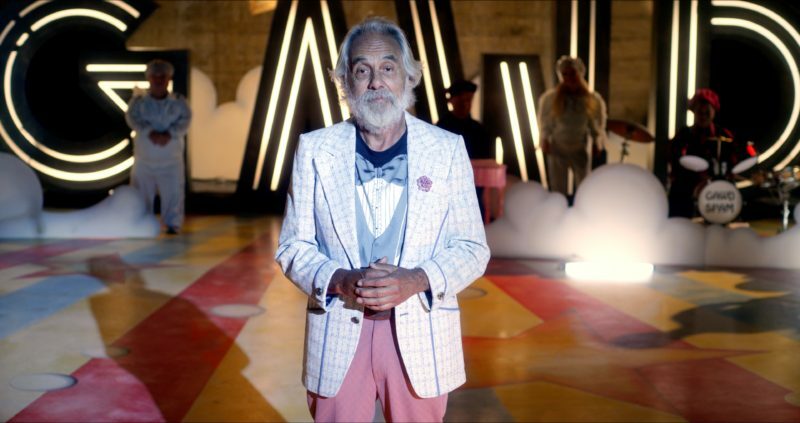 And he’s in the form of Tommy Chong. As in Chong from Cheech & Chong. If you were wondering. A few years ago my supremely talented friend Jerry Brunskill let me read a script he wrote nearly a decade prior. The script had been previously been optioned by a major network…Alas, the kind of controversial subject subsequently caused it to be shelved. When he finally got the rights back he put together a big budget film with big budget stars, but life happened, a lead actor had to pull out and the big investors followed. Cut to a few years later. Jerry told me about a script he’d written that had been sitting dormant but he was trying to get going again. While I read it I loved it and envisioned a specific cast of characters in various roles. I shared my ideas with Jerry and he said, “Can you get to them?” I gave it a moments thought and realized, “Yeah, I could.” I’d booked actors and actresses for magazines for more than a decade, how different could it be to book them for a movie? As it turned out, not very much at all – and, a lot. I’ll skip specifics, but I learned a lot. For one, when I reminded an actor’s agent about the financial limitations of an indie film, I was told they’ll accept nothing less than a double banger. I was appalled that they wanted a Double! So, I said they could have their own normal single trailer’…I later learned a ‘double banger’ is a single regular trailer divided in half for two actors. Oops. There was a lot of learning along the way the three weeks or so we filmed primarily downtown LA. Jerry and I collaborated through the casting process and one of my favorite moments was when Mara Hall had us laughing until we cried as she broke it down for us (she’s a shining star). The theater where we filmed, full of character (and dust) often got hot, so I trekked to Skid Row to buy hand fans to keep the cast and crew cool. And, when I wasn’t doing coffee runs, sitting in a director’s chair watching takes from every angle or hanging out in Tommy Chong’s trailer during lunch breaks watching Turner Movie Classics, I was in the production trailer figuring out how to do social media or asking brands to do product placement in our very entertaining film. (Thank You Headlines & Heroes, Flywheel and vintage Peligroso!) I also did a day as an extra, got us our first press hit in The Hollywood Reporter (because who knew press was a qualifier to get on IMDB), maintained our IMDB page, was an intermediary with cast (and their families) and was tasked with dog sitting Luke Perry‘s dog Angel. I’d always wondered what a ‘producer’ does. What I learned is – anything that needs to be done. And it was amazing. Currently that also includes PR, so if you’re one of your one of my press friendly or colleagues, please share the news of this little indie that could coming to Amazon Prime Video in a few days (Friday, July 14!). It was a labor of love by so many people – most of all the writer/director/editor/co-caster/producer/creative mastermind Jerry Brunskill whose patience in the face of every kind of challenge was truly inspiring. It’s exciting to see something I was an active participant in from inception (in its current incarnation) come to life, but far more rewarding is being able to see something my friend invested so much in, creatively, mentally and financially, finally come to fruition. He kept the faith and and eventually did it his way. Hope you love it as much as we do.